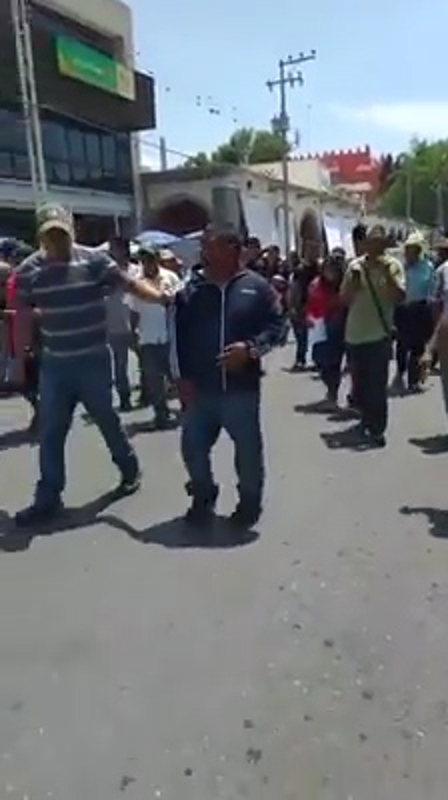 This is the moment a bloodied man protests his innocence to a machete-wielding lynch mob who paraded him through town and beat him to death for stealing bicycles. 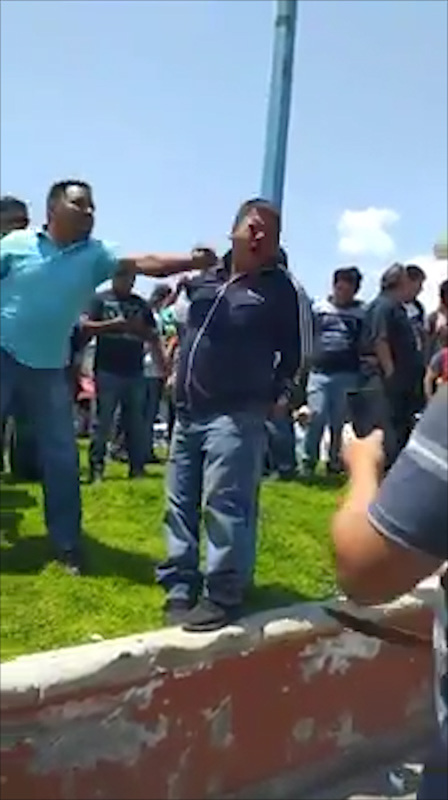 According to local media, the incident took place in the city of Ixmiquilpan in the central Mexican state of Hidalgo when the suspect, identified as Eduardo Estrada, was caught stealing. 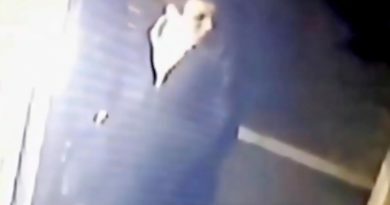 In the video footage, the heavyset suspect is seen beaten and bloodied as he sits on the ground in his underwear with his hands tied. 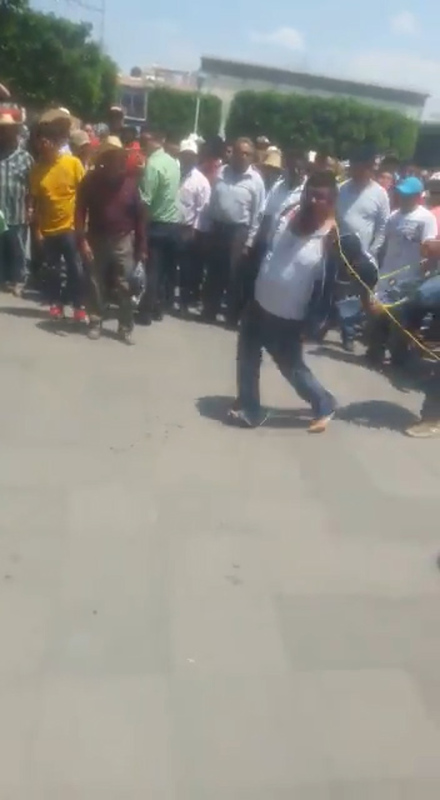 Another clip shows the man being pulled around by a rope tied around his neck and beaten. 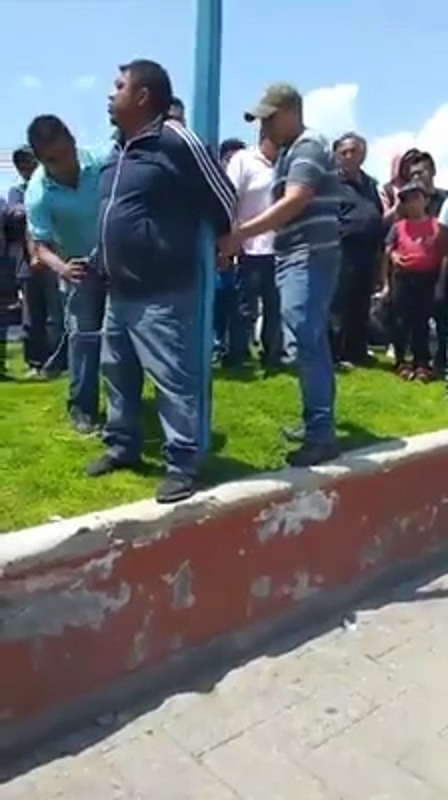 In the third video, the heavyset suspect is seen being tied to a pole as residents ask him to confess his crime and give up his accomplices. All the while, the man protests his innocence. Reports said that the man later died in hospital of his injuries. It all started when the police were called to the area after a group of people were spotted stealing from various shops. 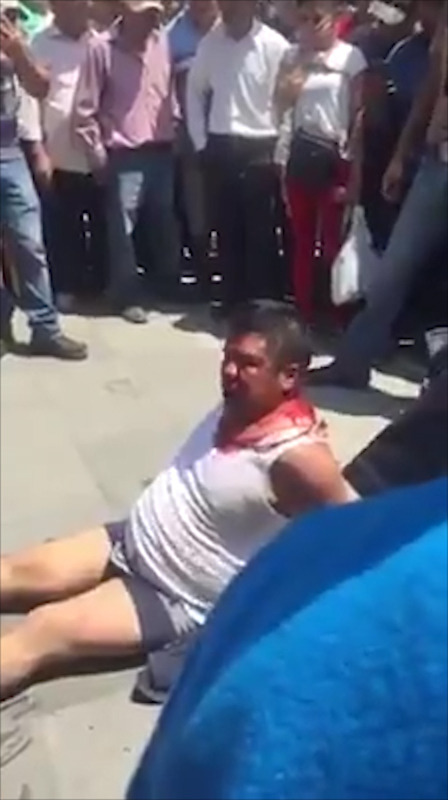 Officers caught two suspects, but a third man was nabbed by an angry mob that had gathered in the area. 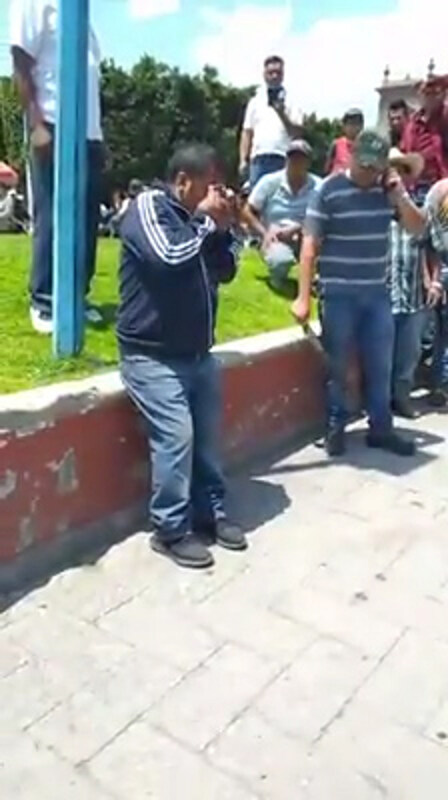 Mob members claimed that the suspect had photos of residents’ stolen bicycles on his phone. 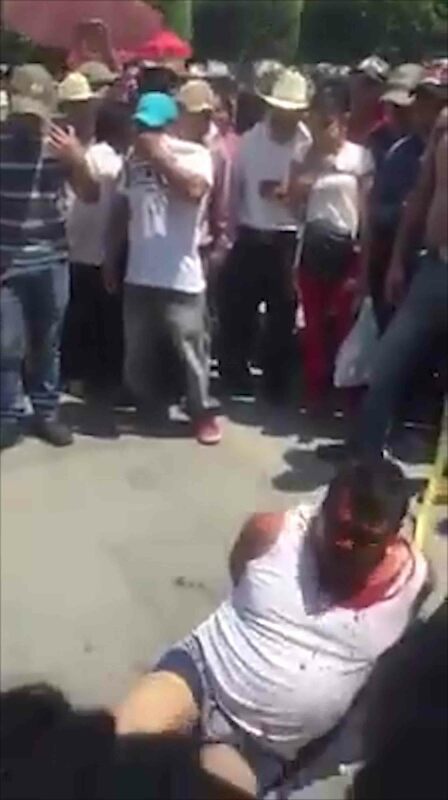 According to local media, the police managed to rescue the man and took him to hospital, but he later died of his injuries. 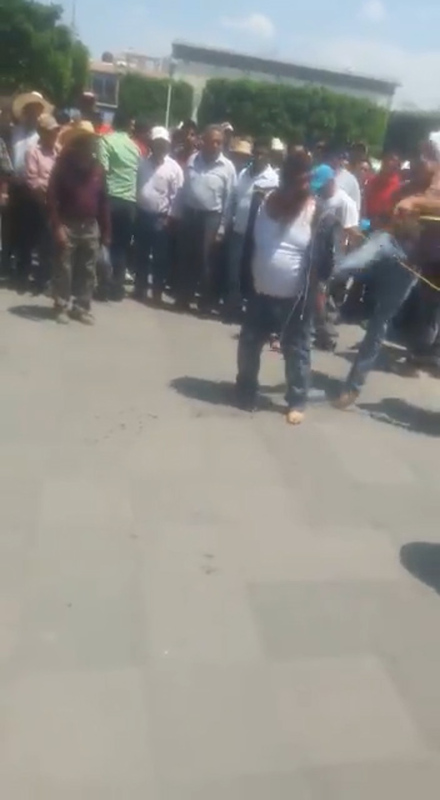 Reports said that this is the sixth lynching in the area in the past 10 months. An investigation is underway, but no arrests have taken place yet.